Basic Kumihimo braids are fast, and they are a great project to get kids involved. Pre-cut cord, knot the end so that it stays together for fast and easy placement onto a disk while you are out and about. Pack your pre-prepped cords in a bag along with your disk, in your purse or day bag so you can braid when you have a spare moment. Braid when you can then cap and clasp a bunch at once for fast gifts. I made the braids while waiting in waiting rooms (did 3 in one day). I even wrapped and trimmed the ends while tending supper. Then I capped before bed so they could dry through the night. Come morning, I had 3 gifts ready for wrapping. You don’t even need bobbins when doing short amounts so it fits easily in your purse or day bag. Previous post about Kumihimo braiding. If your budget is thin, you may be frustrated by how little you can spend on things that you enjoy. However, you shouldn’t let your limited funds keep you from enjoying your hobbies, especially jewelry making. A small amount of money can allow you to create beautiful jewelry, and it can be just as stunning as what you would spend a fortune on in the store. If you have a limited amount of money to spend on your jewelry making hobby, take care that you buy only the essential materials. 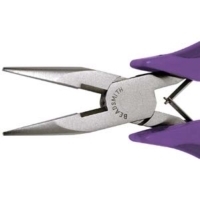 Invest in a basic tools so that you will have the toolsyou need to crimp, bend, wrap, close and cut your wire and findings. You can then add to your tool kit as you are able. Sterling silver and gold wire is pretty, but it is also more expensive than other stringing materials. You can create jewelry that is just as pretty using copper and brass. Since you aren’t using precious metals, you are more likely to be able to afford to do more projects. You can also create beautiful jewelry using other types of stringing material, such as leather or hemp. 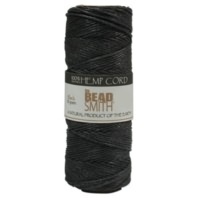 Leather and hemp can be an inexpensive cord that will allow you to design trendy jewelry. You can find several beads and findings that will fit your budget. 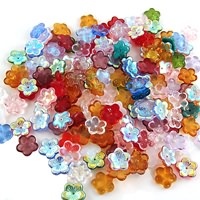 Look for options such as Czech beads, which can be used for a variety of projects. There are also some gemstones that you can get without spending a great deal of money. Always keep on the lookout for sales and clearance items because you will be able to save money while stocking up on supplies. By mastering a few techniques, you can add character and beauty to your pieces without relying on store-bought items. Learn how to properly wrap wire in order to make your own loops, connectors and links. 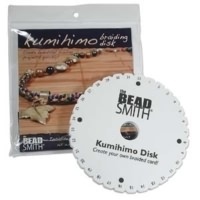 This will allow you to fill in space in your designs without using costly beads. You can also learn how to use a hammer to texture your links, which will add depth and dimension to your creations. Oxidization is another technique that will allow you to give your jewelry even more personality, and it will also draw attention away from any imperfections in the pieces you make. If your budget is really tight, then look carefully at the items you have. Since you will be forced to use what you have on hand, you will often come up with unique and beautiful designs that you otherwise would have missed. Keep an open mind about the supplies and materials that you have on hand because they may lead you to a stunning creation. A limited budget does not mean that you have to avoid jewelry making. By carefully considering your options and making frugal decisions, you can still have beautiful materials that will allow you to create stunning jewelry.